If you have curly hair, there are a few things you need to know. Understanding how your curls work can save you a lot of time and energy. Here are some hacks you need to know to get great looking curls every day. There's no doubt that frizz is a curl's worst enemy. While there are tons of products that can help combat frizz, you want to stop it before it even starts. 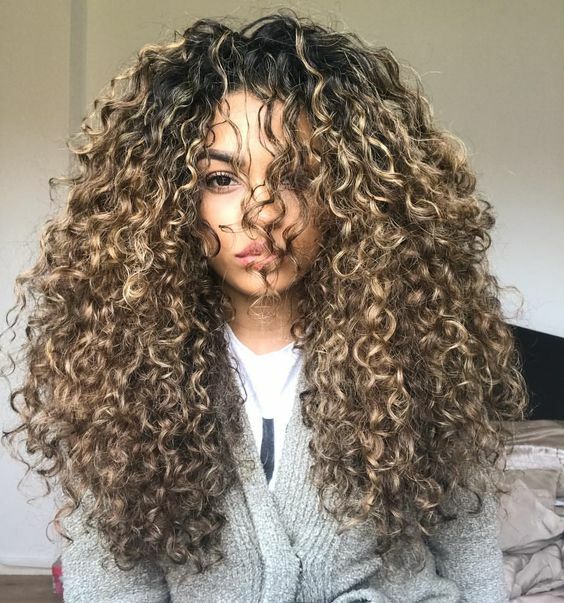 A few things you can do to stop frizz from occurring include drying your curls with a diffuser, using an old t-shirt to blot up excess moisture, get regular trims, and incorporate deep conditioners into your curl care routine. All curls are naturally dry, as it's harder for natural oils to make their way down the curl's shaft. Keeping your curls hydrates is crucial for having successful strands. You're going to want to add oils and weekly deep conditioners to your curl care routine. Rinse your curls with cold water to keep the shaft smoothed down and moisture locked in. Try to avoid washing your curls daily and instead stick to 2-3 times per week. When you get ready to figure out what products you want to use, you're going to need to make sure they're the right ones. Know your curl type before buying products. Read reviews on blogs, talk with friends and stylists, and read product labels before purchasing. When you do finally pick a product, make sure you select a great curl defining product to help make each individual curl stand out. This recommendation is one of the hardest for anyone to follow. Once you've styled your curls, it's important to not touch them until they're completely dry. Running your fingers through your strands can cause them to become disrupted and to fall flat.